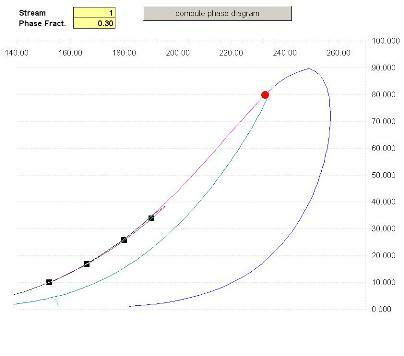 vapor-liquid phase envelope / phase diagram. 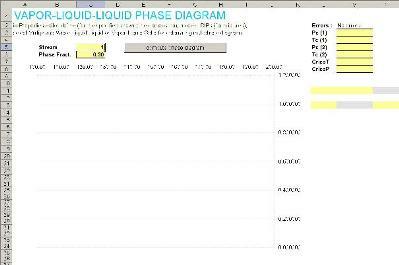 vapor-liquid-liquid phase envelope / phase diagram. vapor-liquid-solid phase envelope / phase diagram. 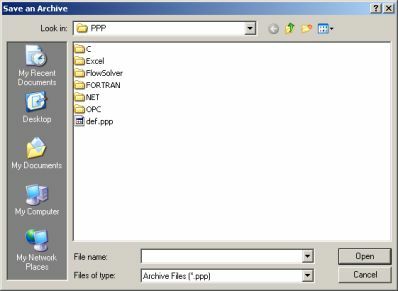 Prode Properties allows to create the diagrams directly in Excel, Matlab, Mathcad, Prime or any compatible application including custom software. 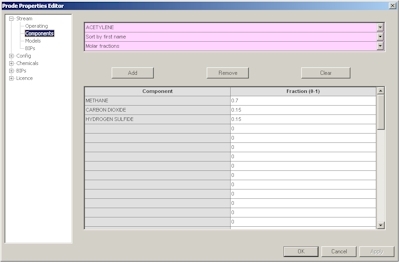 Second step: generate a vapor-liquid-liquid phase envelope in Excel. 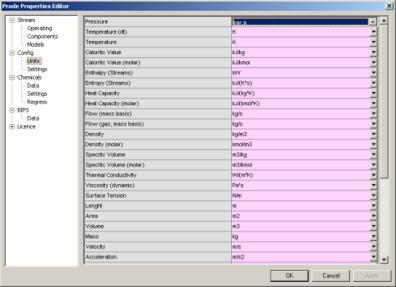 This page contains a little VBA code to tranfer the calculated equilibrium values (for the different vapor-liquid, liquid-liquid-vapor, vapor-liquid-liquid lines) from Prode Properties to Excel, if required you can easily modify the code for printing a series of lines with specified liquid or vapor fraction. 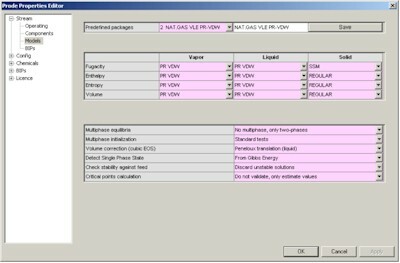 To print a phase envelope you must define the stream (we select the first stream, which we defined with composition C1 0.7 CO2 0.15 H2S 0.15 , SRK as model and multiphase vapor+liquid option, the multiphase option instructs the procedure to generate a vapor-liquid-liquid phase envelope) we specify 0.3 value for liquid fraction, finally click on the button "calculate phase diagram". 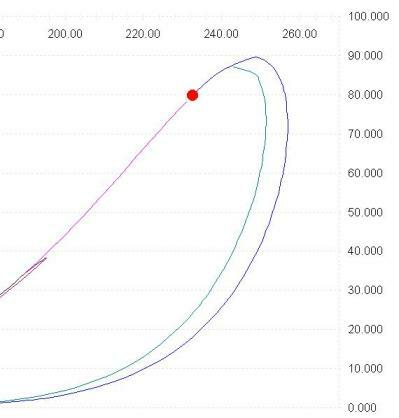 Properties does all the work and the calculated equilibrium points including critical points, cricondentherm and cricondenbar are printed in Excel page for your analysis. 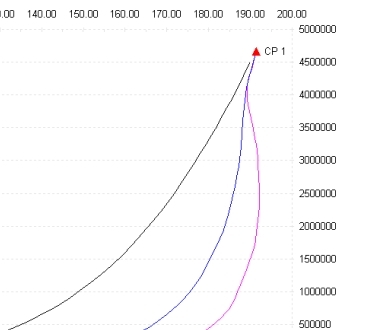 The calculated values for Critical Points, CricondenBar and CricondenTherm are available in Excel. 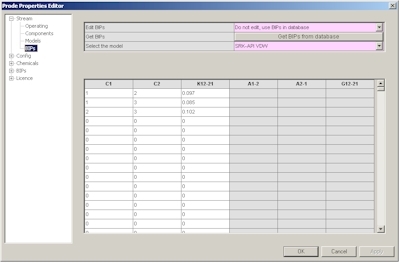 Note that Prode Properties calculates the TRUE critical points (not the estimated values), Prode Properties includes a proprietary procedure based on Gibbs minimization method. 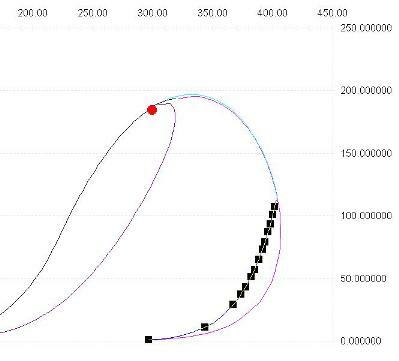 the procedure allows to specify any value (from 0 -dew line- to 1 -bubble line-) for phase fractions, herebelow the example of a line with 0.05 liquid fraction. The example shows the phase envelope for a 12 components (hydrocarbons + water) mixture, notice the large three phase area where liquid water is present. 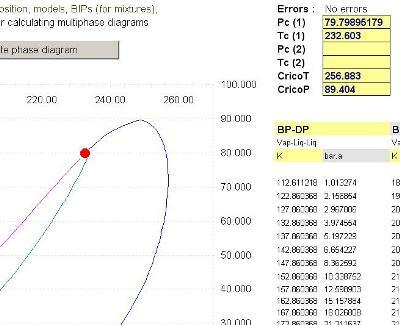 Note that even simple compositions can show a complex behaviour, herebelow is the example of the mixture with composition Methane 0.9 H2S 0.1 model API Soave Redlick Kwong. 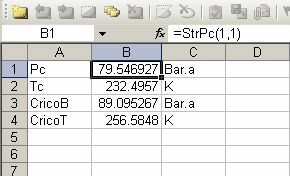 Note that Prode Properties includes methods for calculating critical points, CricondenBar and CricondenTherm in Excel cells, see the paragraph "Methods for thermodynamic calc?s" in operating manual for the details. 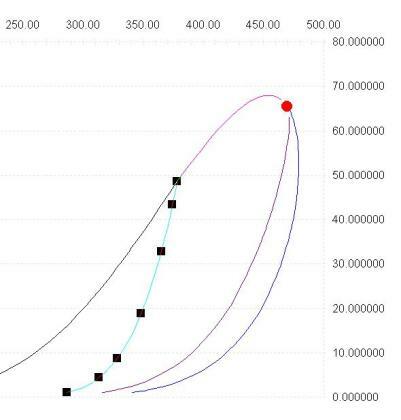 methods StrPc() and StrTc() returns the critical pressure (or temperature) of the nth (from 1 to 5) critical point found. 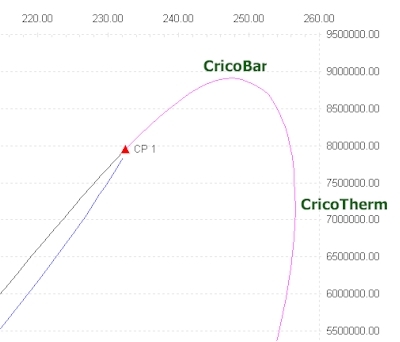 methods StrCBp() and StrCBt() returns the pressure (or temperature) of the CricondenBar (the equilibrium point with maximum pressure). 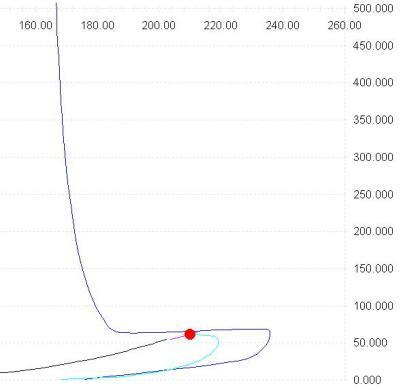 methods StrCTp() and StrCTt() returns the pressure (or temperature) of the CricondenTherm (the equilibrium point with maximum temperature). To get the value of critical pressure enter the macro =StrPc(1,1) where (1,1) refers to the stream 1 and first critical point detected, we enter this macro in B1, in B2 we enter the macro =StrTc(1,1) to calculate the critical temperature in the same way, in cells B3 and B4 we enter the macros = StrCBp(1) for CricodenBar pressure and = StrCTt(1) for CricodenTherm temperature. 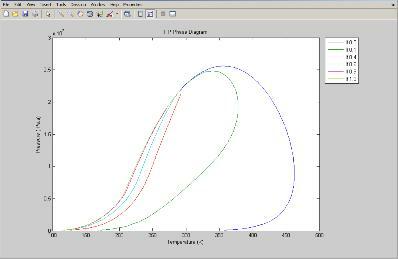 Print a phase envelope in Matlab. where (1) is the number of stream. will return the true critical pressure of stream 1.